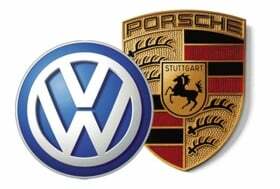 FRANKFURT -- Porsche Automobil Holding SE said it has scheduled an extraordinary general meeting for mid-December, at which its shareholders will vote on a merger with Volkswagen AG. VW wants to overtake Toyota Motor Corp. as the world's largest carmaker with 10 million vehicle sales annually by 2018 through a mixture of aggressive acquisitions, emerging market growth and streamlined production costs. Getting full control over the lucrative Porsche AG sports car business and its industry-leading margins is a core element of VW's strategy -- and holding parent Porsche SE is the key. Separately, Porsche SE and VW Group CEO Martin Winterkorn said the companies are poised for further "distinct growth" even as conditions in the world economy remain "challenging," he said, citing rising raw material prices and countries' debts. Volkswagen is on the verge of another "very successful" business year in 2011, the CEO said in remarks prepared for delivery today at Porsche's annual shareholder conference in Stuttgart.